Living in a small space means that often your separate spaces have to take on double duty. Currently, the babes not only share a room with each other but they also share a room with all their toys. Their bedroom is essentially doing triple duty. We make it work and I actually sort of like it because I think it’s taught them a few lessons like sleeping through noise and quiet play in the morning. 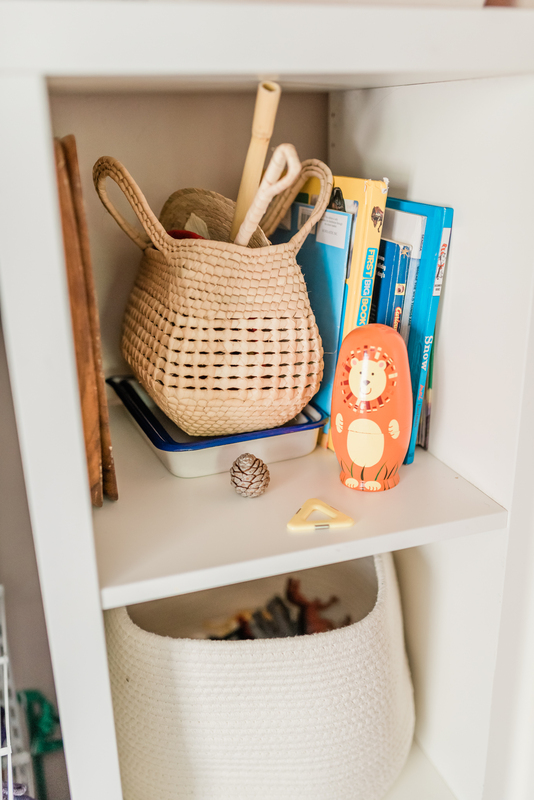 While I dream of having an expansive playroom that’s perfectly decorated and organized where the kids can go play and all their toys have a space, that’s simply not our reality. For the time being the bedroom will have to serve as the playroom which means I will have to stay on top of purging, organizing and toy swapping. 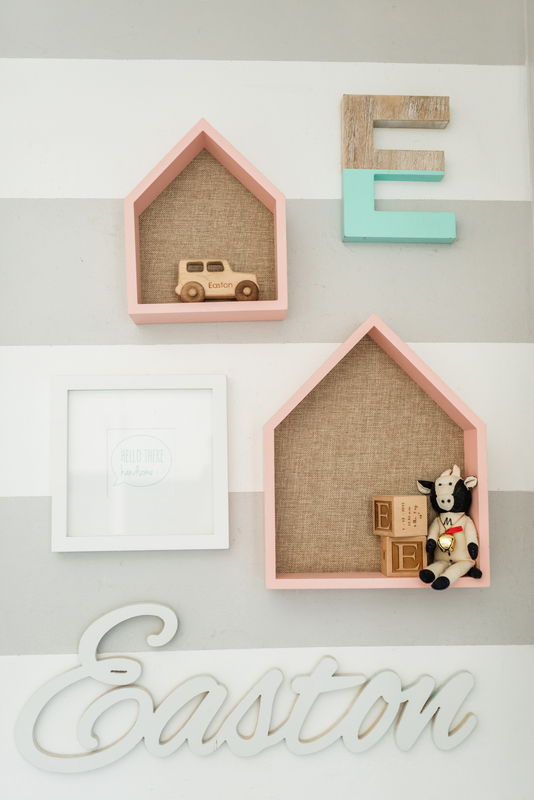 We recently made some updates to the babes’ room so it would function and flow easier for them. The room was over run with clutter and toys they no longer played with. This resulted in the babes just dumping out a bunch of stuff and not really “playing”. A mass toy purge was in order! I knew I needed to shift some things around in their room so they could both have the space and access to the items they wanted to play with. The first thing I did was ditch their bulky dresser and overhaul their closet so it stored more clothing and more toy (more on this in a later post). Taking the dresser out of their room freed up so much floor space for them to play. I also ditched some of the bigger freestanding toys like their tool bench and kitchen that they never played with anyways. 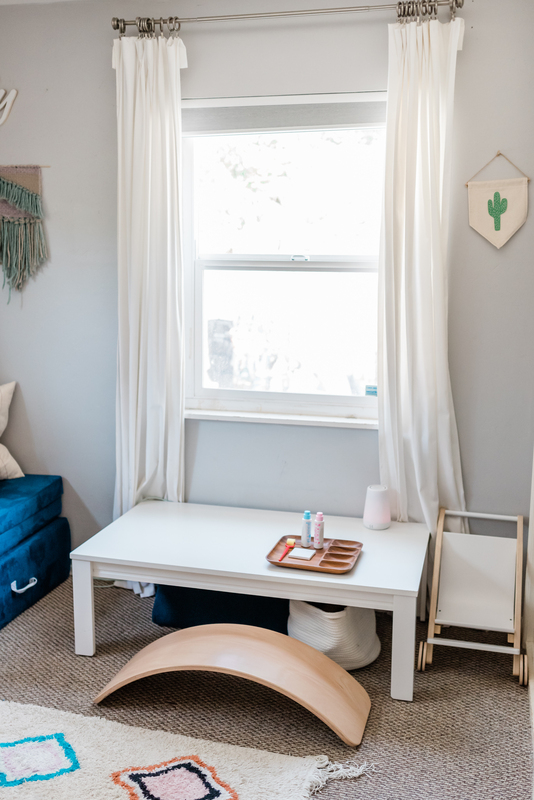 I took out their reading bench and repurposed it for storage in the closet which freed up even more floor space for their craft table and their beloved Nugget comfort… both of which had been residing in the living room. By doing this, I regained my “adult” space in the living room and made their room more functional for their age. I tried to maller toys with lots of pieces like legos and magnatiles are stored in the white bins in the closet along with toys that can be categorized or grouped like puppets, play kitchen, trains and tracks,etc. The toy organization is so much more functional for us when they’re grouped into categories. The babes play with them and then we pick up that toy before pulling out another toy. 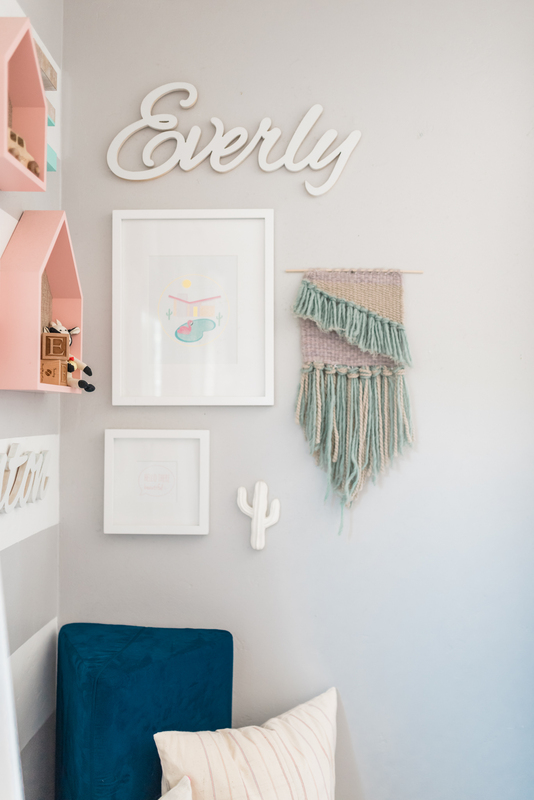 Having a shared space that doubles as a toy room and bedroom can sometimes be overwhelming. 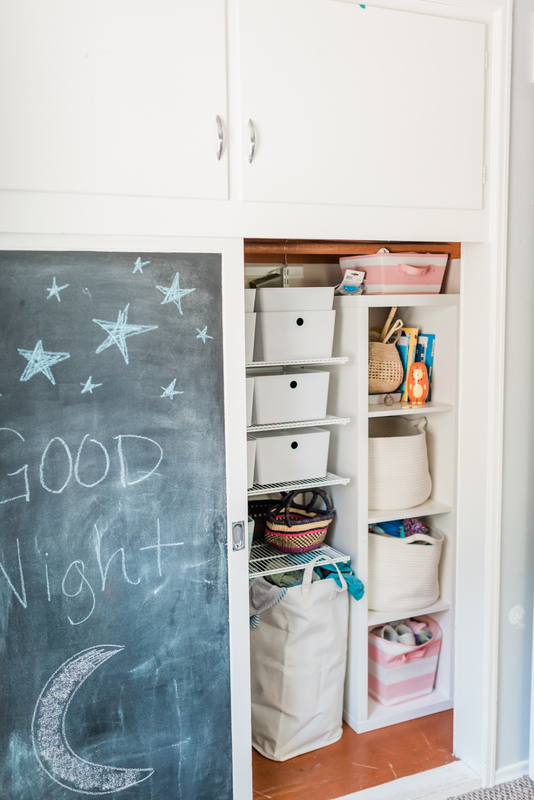 Consistent purging and use of clean and simple toy storage, out of site, makes bed time easier. Out of site, out of mind. I do keep out a few toys that I know they like to gravitate towards when they first wake up but other than that, the toy clutter that was overwhelming the space has been purged or properly stored in the closet. There are still a lot of things I want to tweak in this room, I’m thinking of re-painting. I’d love to find a fun and colorful vintage rug to place in here and some vintage wooden stools or chairs for the craft table. I did try to rearrange the bed but the window placement in this room dictated the safety of the bunk bed placement. Overall, I’m so happy with the updated room and I know the babes are too! It’s certainly more age appropriate, way less cluttered and so much more functional for all of the toys with small pieces.